On the surface some might argue for and some against the fact that not much has changed since the era when “Back to the future” hit cinemas in 1985. 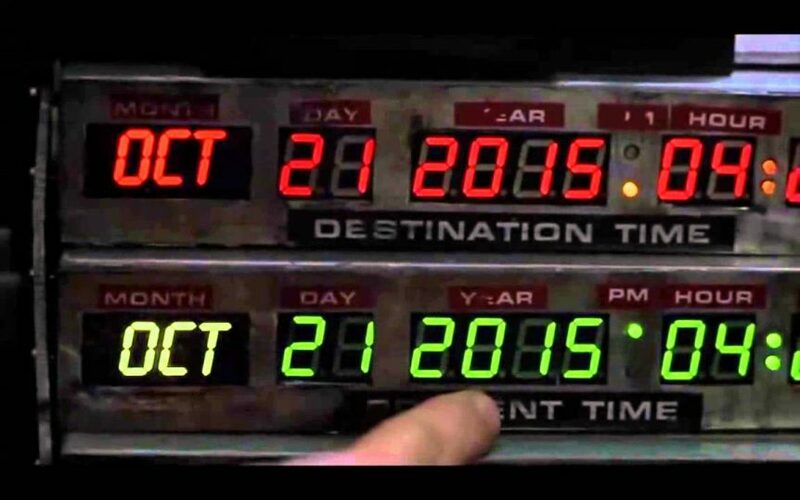 I mean we’re almost 2 years past the very far into the future date, “21 Oct 2015” referenced in the movie and were still driving cars that run on gas, standing in queues to board flights, watching normal (non-3D or VR) TV, enjoying a good steak and drinks with friends and woman still look good in dresses and men look good in suits. Sure there are exceptions to the rule, but one thing that is certain is the impact technology is having on how we live or day-to-day lives. Being so ultra-connected has many pros and many cons but one thing is certain: we are relying more and more on technology. For example, not looking through the window but rather using a weather app on your phone to determine what clothes to wear or instead of customer facing visits, we’ll rely on email conversations, webinars and VOIP calls. GPS based navigation applications are saving marriages and I can carry on. But few are realising that as more and more of our private information is residing online, we are at risk of falling victim to accidental data loss or even cyber-crime. Use strong passwords. Try to stay away from using the same password for everything or using the same pattern between different accounts. Rather use symbols, capitals and numbers to strengthen your password to help protect you from being hacked. Also with password safes built in to most smart devices you don’t have to worry about losing them. Make sure your firewall is up and running. This will monitor the flow of traffic to and from your home or business and will reduce the risk of being attacked by a virus or ransomware. Updated Anti-virus and anti-malware software will prevent your business from being infiltrated and will eliminate the threat before harm was done. Run software updates. These often include security updates which makes sure you are protected against latest threats or vulnerabilities often exploited on older software and systems. Use encryption software which is easy to use and prevents cyber criminals from accessing your data in case your laptop gets stolen. Make sure your mobile devices e.g. phones and tablets use encryption software and password protection with remote wiping enabled. Imagine all your personal and customer contact details falling into the wrong hands.